Last weekend myself and three friends visited Copenhagen, Denmark. We took full advantage of the bank holiday weekend and decided to actually go somewhere with our extra day off. I had never been to Denmark before, so this was an exciting new experience for me. I foolishly almost bought euros before my visit – good job I didn’t as their currency is Danish Kroner! Copenhagen is the furthest north I have ever travelled, having never visited any of the Scandinavian countries before. We arrived late on Friday evening and left on Monday morning, which gave us two full days to explore the city. We walked A LOT (over 30,000 steps each day), and found that two full days was the perfect amount of time to see everything we wanted to. If you don’t like walking long distances I would recommend staying there for a bit longer. First stop: pastry. Pastry was the first thing I thought about when I thought of Denmark, and I couldn’t wait to try some traditional Danish baked goods. We ended up in a pastry shop called Reinh Van Hauen as it was close to our Airbnb, and we were not disappointed. They were delicious! My favourite was the Walessnitte which was topped with jam and icing. Nyhavn is the most iconic image of Copenhagen. This is a bustling area which was once a busy commercial port. Now it is home to many bars and restaurants, and is a tourist hotspot. Before I had researched the city, my vision of Copenhagen was that the entire city looked like this. The Nyhavn is just one street/area of Copenhagen, but is one of the most popular destinations for visitors as it is so beautiful! When we visited Copenhagen there was a street food festival and market going on at Nyhavn, which we stopped at for some lunch. As we visited on a Saturday I assume this is a regular thing for this area. The botanical gardens are home to over 13,000 species of plants and is famous for its historical glasshouses with free entry for the public. When you are in the botanical gardens you forget that you are in a large city. The whole place felt very tranquil with a lake, lots of greenery and flowers! Just a word of warning to anyone going inside the large glass house, if you take the spiral staircase up to the top it is extremely hot, it will hit you like opening an oven door! We visited in August so it may have been hotter for us during the middle of the summer. The Little Mermaid is a bronze statue erected in 1913, displayed at the waterside at the Langelinie promenade. I have seen pictures of this statue online but didn’t realise how much of a tourist attraction it was. The mermaid sat on a rock had a huge amount of people come to visit her, and even has a bus tour around Copenhagen named after her. Kastellet is a star-shaped military fortress & ramparts. I hadn’t heard of this place before visiting Copenhagen, but stumbled across it when we went to visit The Little Mermaid statue. I found this place really interesting. It felt like you were stepping back in time or onto a film set. In spite of the continuous military use in the area, the Citadel is a peaceful area and is a popular place to go for walks and visit the two museums there. The Round Tower (Rundetaarn) is located right in the heart of Copenhagen, and offers 360 degree views of the city from 34.8 metres above street level. With entry costing 25 kroner (around £3) this attraction is an absolute bargain, well worth the money for the fantastic views across Copenhagen. The weather could not decide what it wanted to do during our visit. Although we were lucky to not experience any rain, one minute it was glorious sunshine and the next it was black clouds above. Unfortunately as we were visiting The Round Tower the sun decided to disappear! 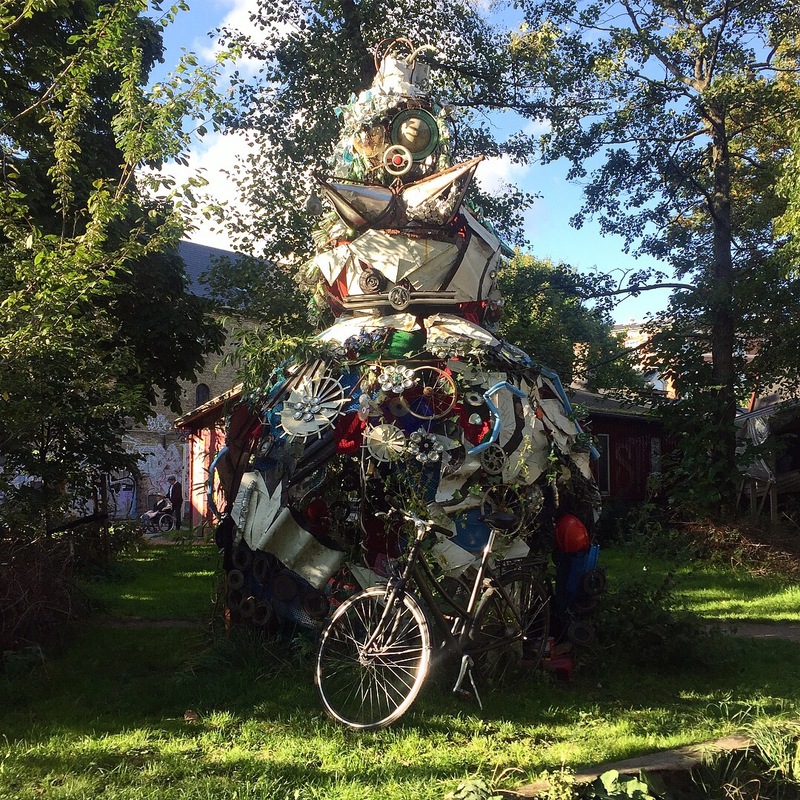 Christiania is a self-proclaimed autonomous state in Copenhagen. All I knew about Christiania before visiting was that weed is legal there, it isn’t in the EU and has its own laws. 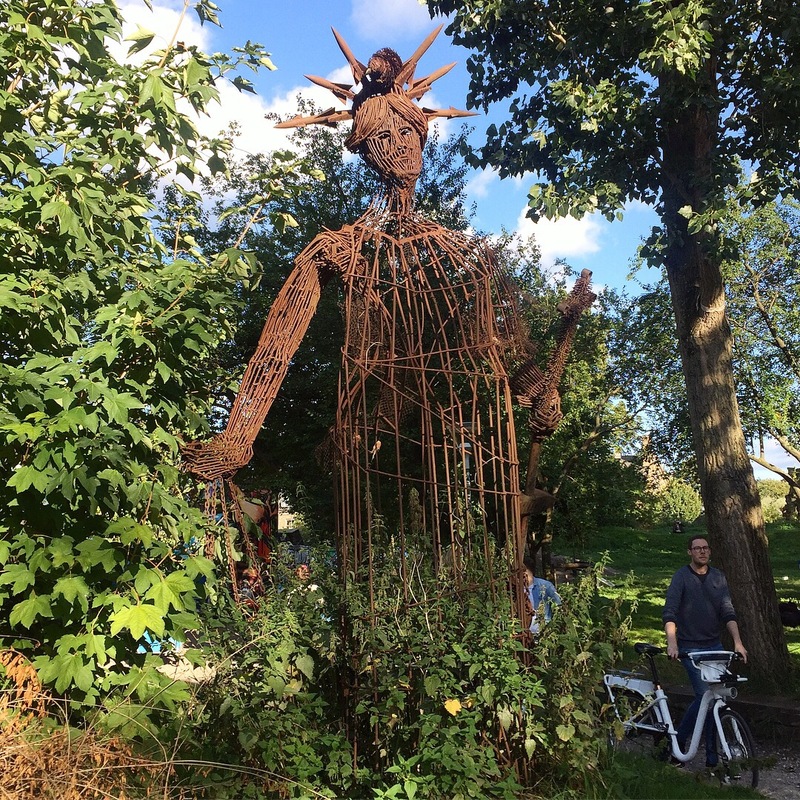 I love the idea of Christiania being a hippie freetown, however I found the visit a fairly intimidating experience. Walking through the infamous Pusher Street, where you’re not allowed to take photos because what they are doing down there is still technically illegal, I was overwhelmed with an uncomfortable feeling. There were some scary looking people in this area, watching your every move – whether the intentions were bad or not, I didn’t enjoy it. Just because I didn’t particularly like Christiania, it doesn’t mean that I don’t recommend it to anyone else! It’s definitely a unique experience that other people may enjoy/find really interesting. The town centre is home to all your favourite high street stores such as Zara and H&M, along with many more quirky shops and pavement cafes. There was a luxury department store which had some rooftop restaurants which I would have been keen to try if we were visiting for longer than the time we were there. Copenhagen was a really lovely way to spend a weekend. The city is clean, easily walkable and everyone was really friendly. I loved the atmosphere and loved how everyone cycled everywhere! Being British and not speaking any other languages, I always feel so guilty when I visit other countries and they can all speak English and I can’t speak anything other than English! I really should try and learn a different language. It’s never too late, right? If I was to re-visit Copenhagen I would like to go to Tivoli – an amusement park and garden. I feel like you would need the majority of a day to visit Tivoli, and as our time there was limited we decided to give it a miss. Have you been to Copenhagen? Did I miss anything interesting? What did you get up to while you were there?